Finance is concerned with securing, managing and investing money. When you study finance, you'll focus on banking procedures, bank accounts, loan, interest credit, trusts, investments, accounting procedures, budget and financing, and security. 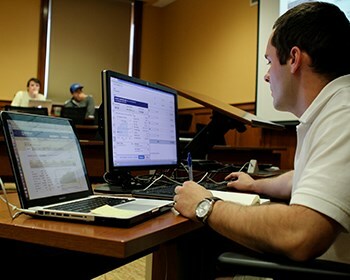 Business and economics professors will challenge you to become an experienced and successful professional. To help you meet this challenge, we will work diligently to teach you crucial skills such as writing, research, analysis and application of theory. Because they're so well prepared, our students go on to employment at leading financial firms, such as JP Morgan, Merrill Lynch, PNC Bank and Wells Fargo. 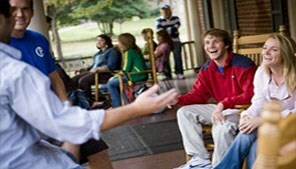 We offer a concentration in finance. 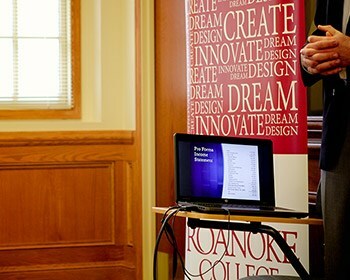 For the fourth consecutive year, The Princeton Review has named Roanoke College to its list of the top 36 great schools for business/finance majors. Keith Petrus '06, former manager of the fund, said the class provided him with invaluable learning experiences that helped him find his first job. "I discovered that I spent nearly half of my interviews with employers discussing the dynamics of the student managed fund," he said. 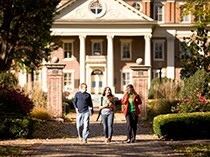 The Student-Managed Fund (BUAD 322) has been a course offering at Roanoke College every semester since 2004. The class challenges Roanoke students to use their skills, innovation, and teamwork to responsibly grow a real investment portfolio. The initial $500,000 investment has more than doubled and is now worth more than $1,000,000.